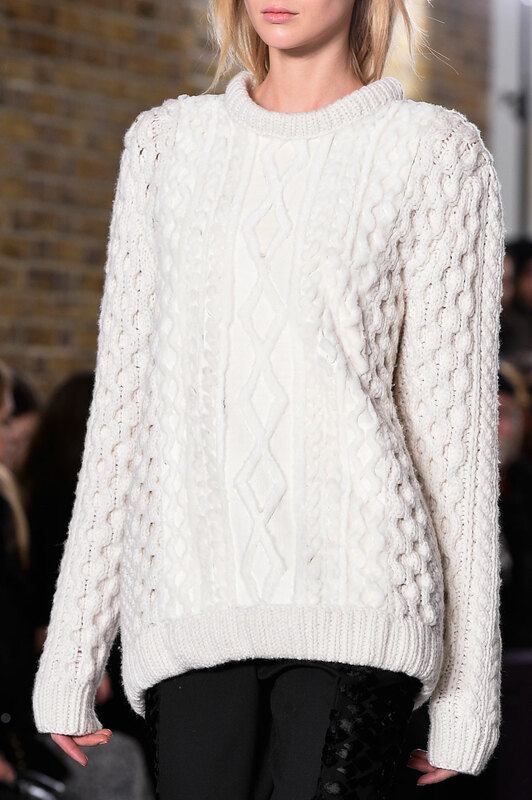 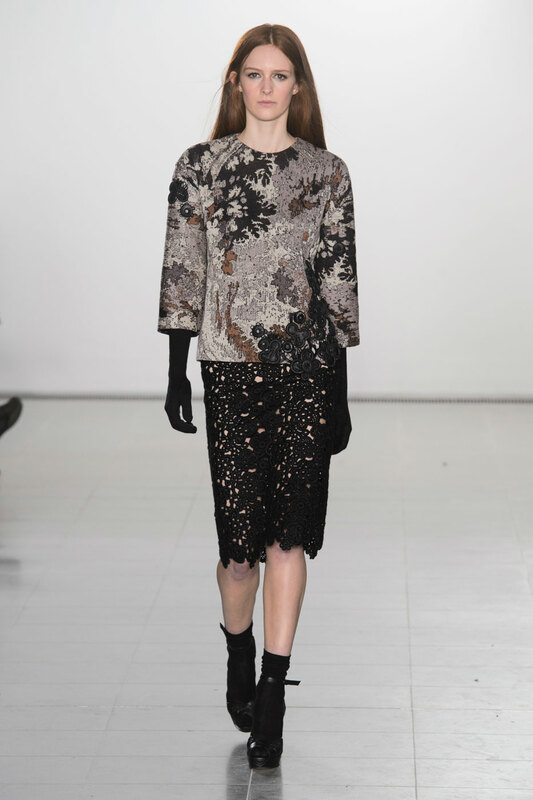 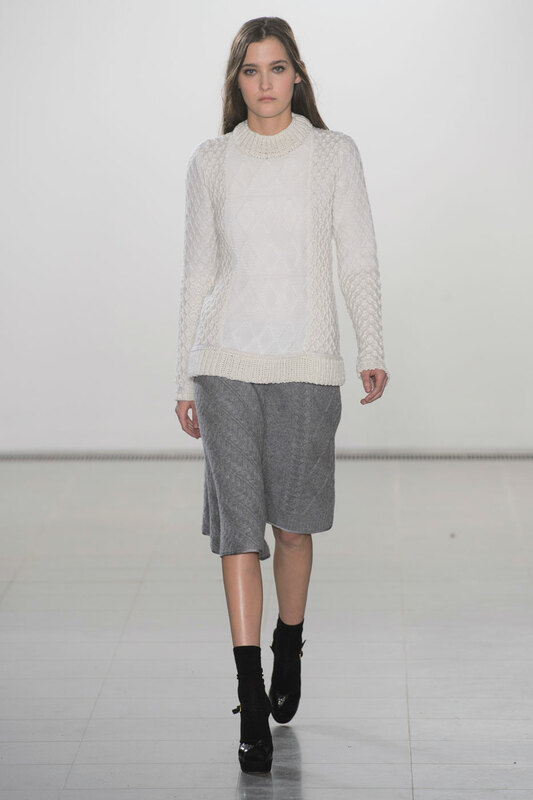 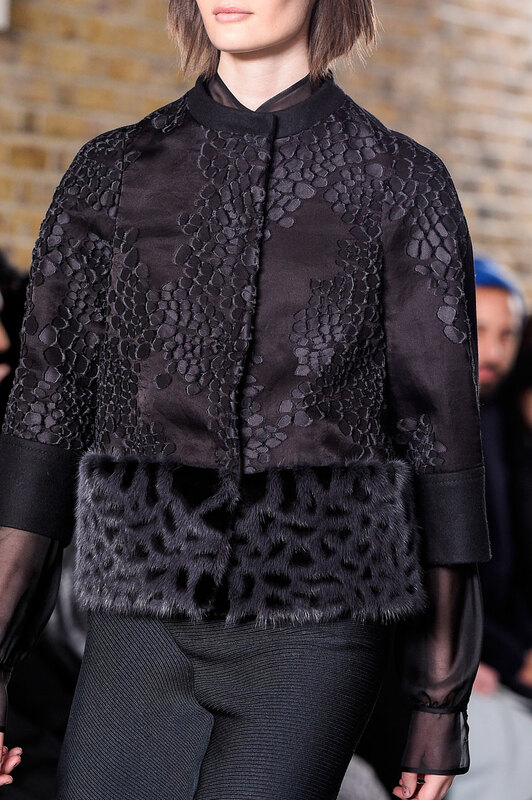 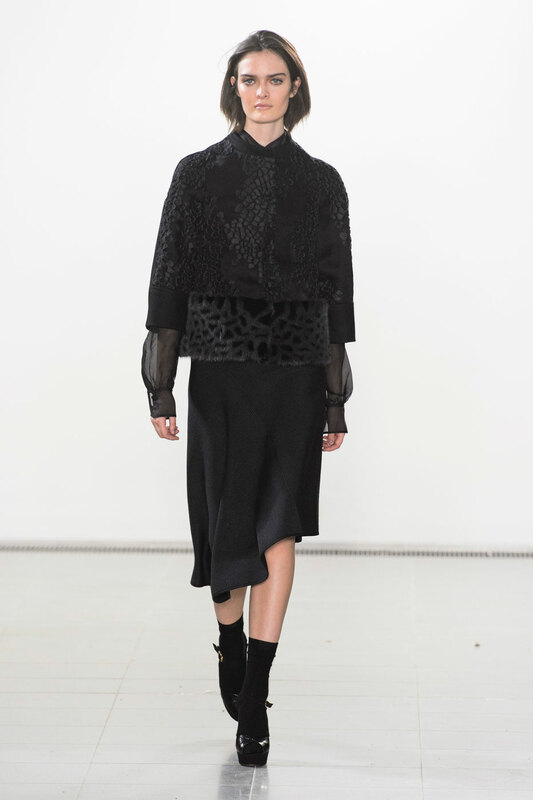 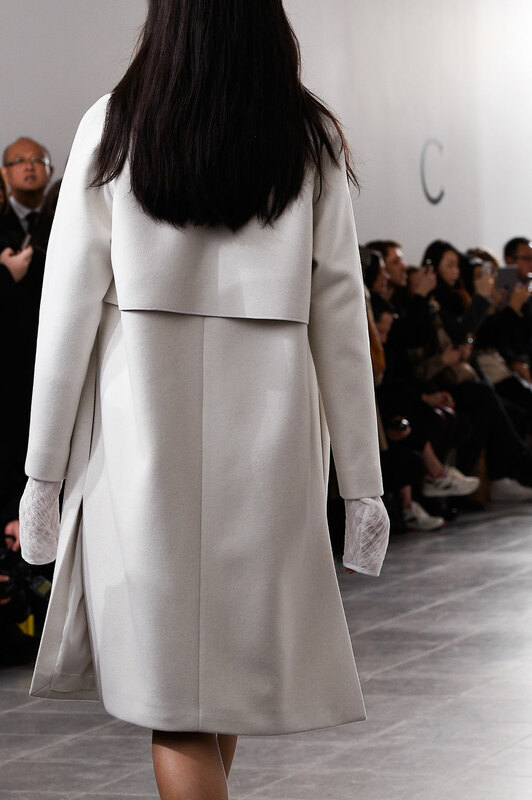 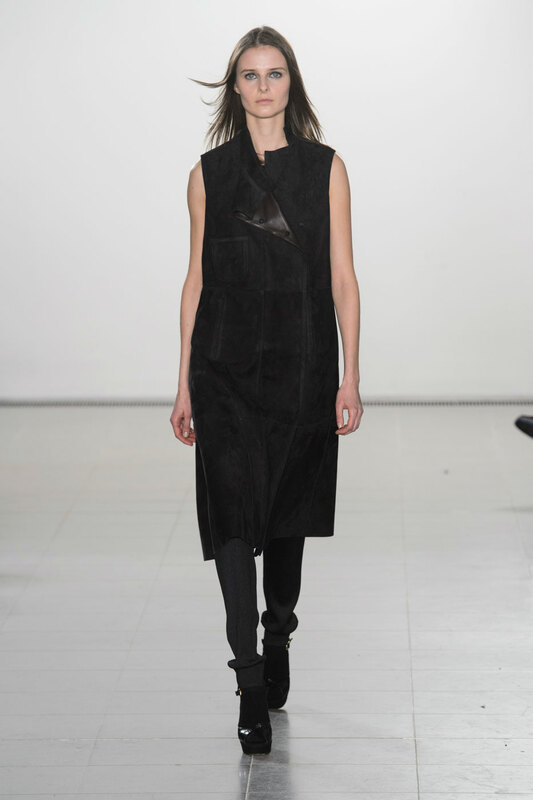 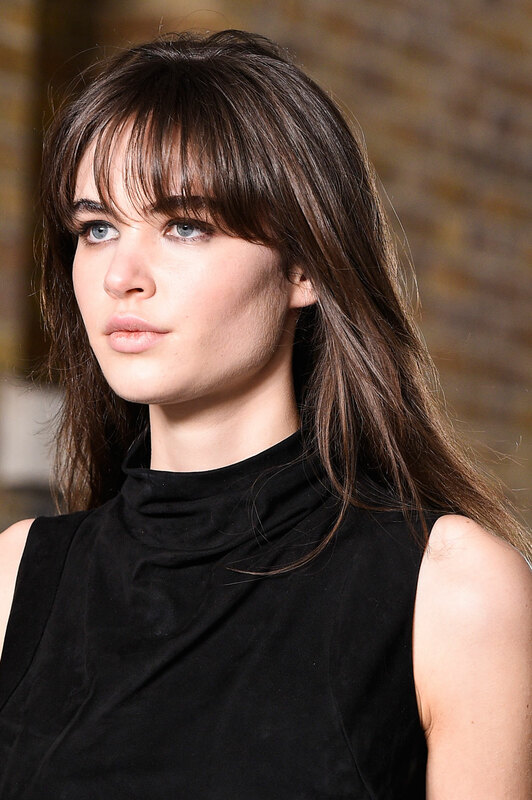 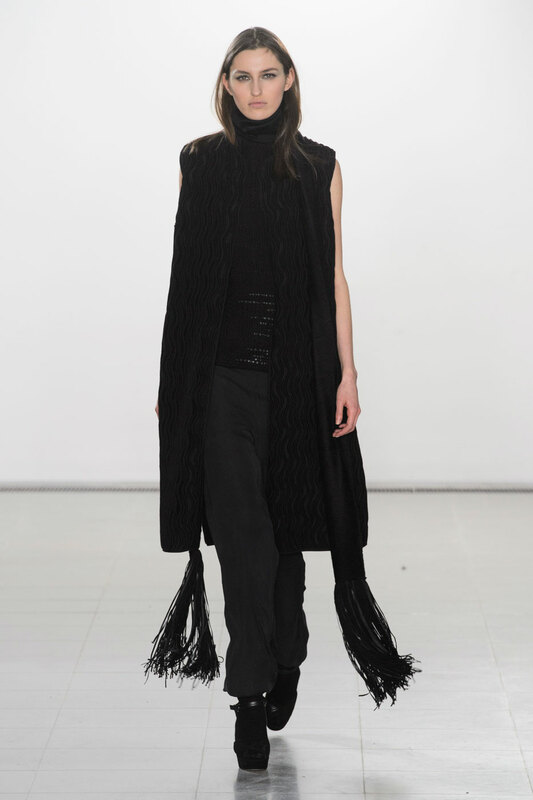 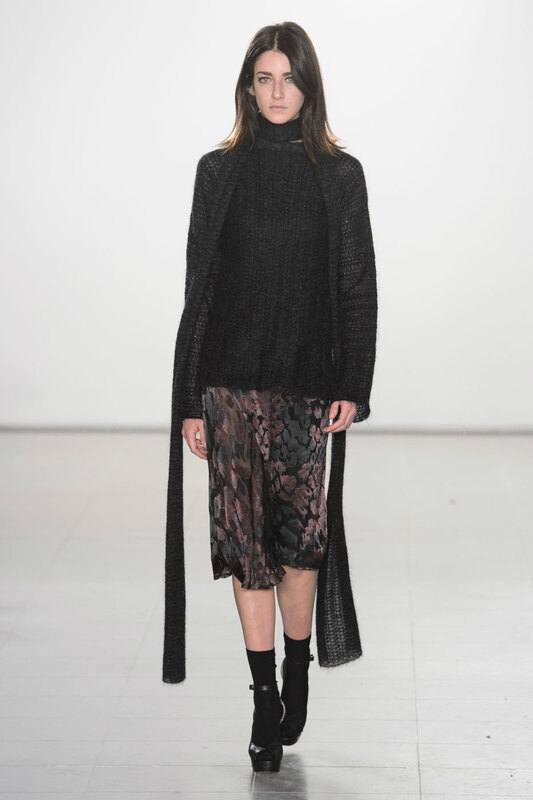 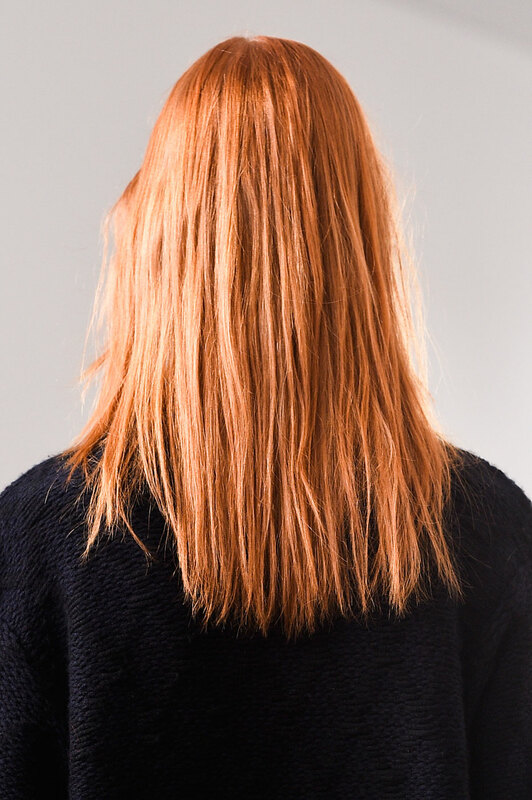 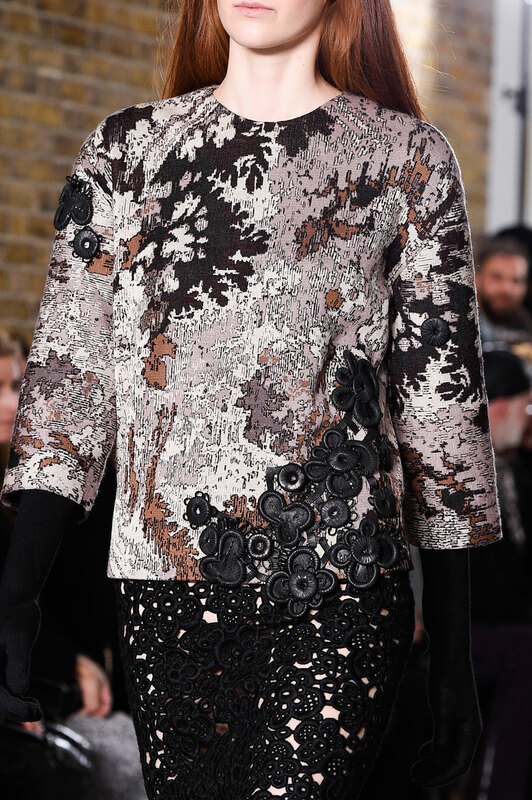 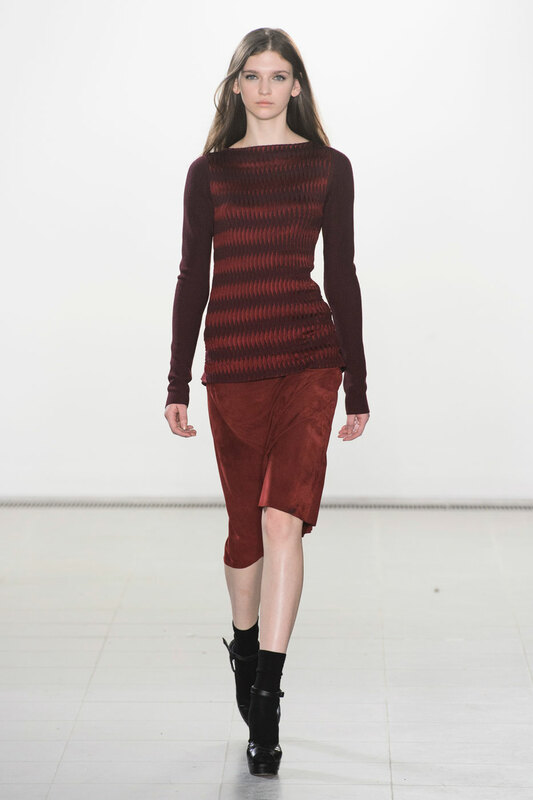 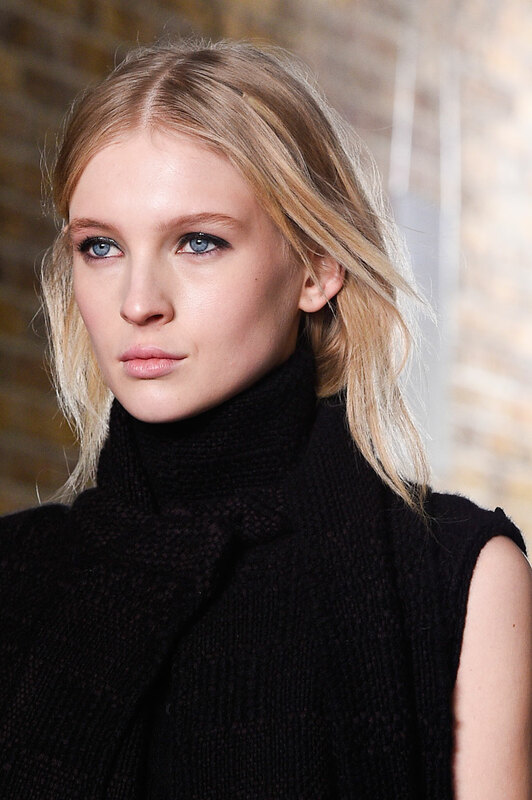 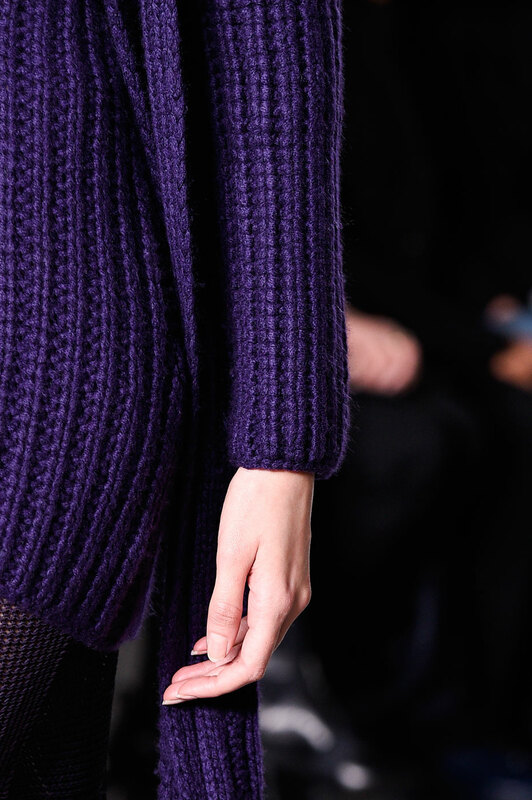 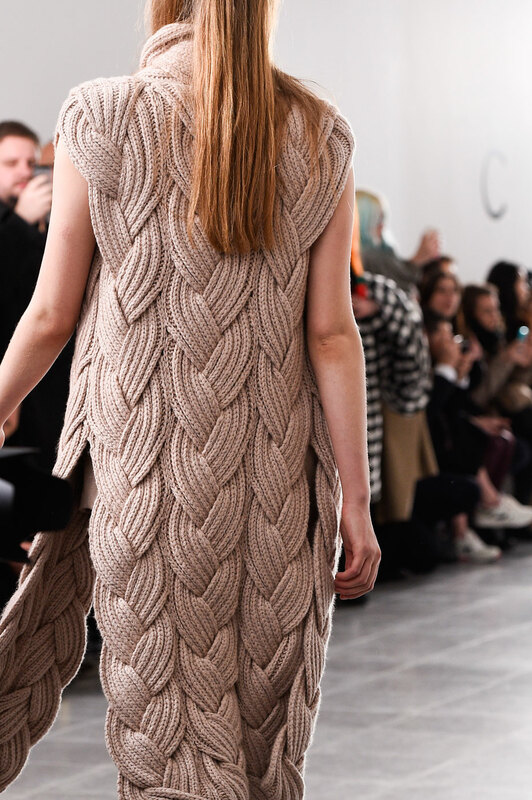 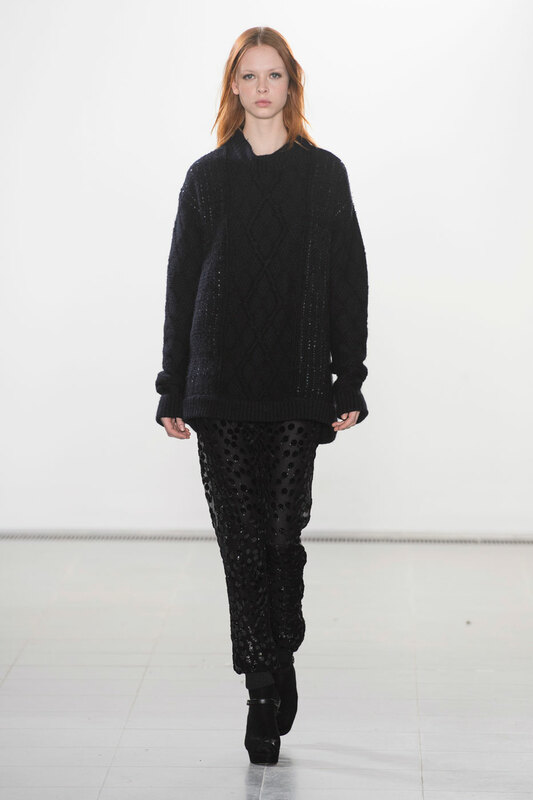 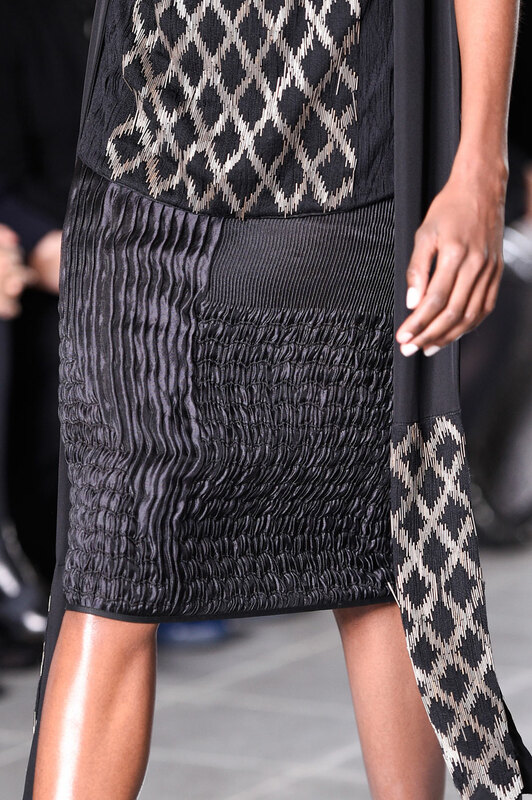 Pringle of Scotland Women Autumn-Winter 2015 – For many in the fashion world simplicity is key and Pringle of Scotland’s show embodied just that. 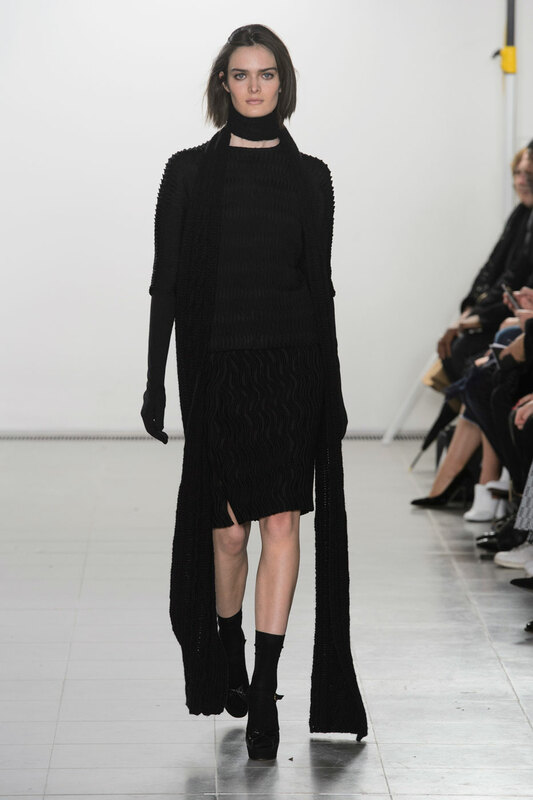 Celebrating their 200th year anniversary as a brand, this year’s Autumn-Winter collection exhibited at the Serpentine Gallery saw a continued dedication to luxury woollens and supreme craftsmanship with a fluid flow of cream cashmeres, tanned skirts and floor-length flowing scarves. 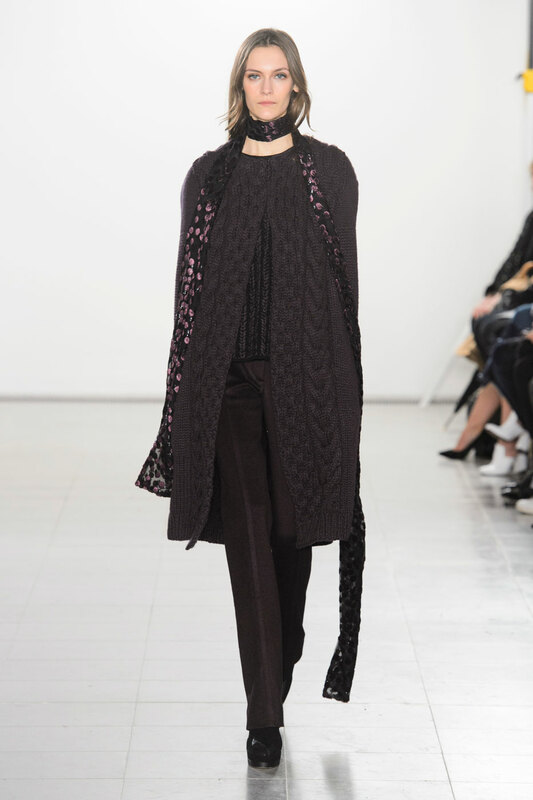 With a placed emphasis on luxurious textures, monochrome looks consisted of flared black trousers and thick wintery aran whites whilst the runway was given a touch of warmth and fire through the presence of darker berry coats and dresses in burgundy shades. 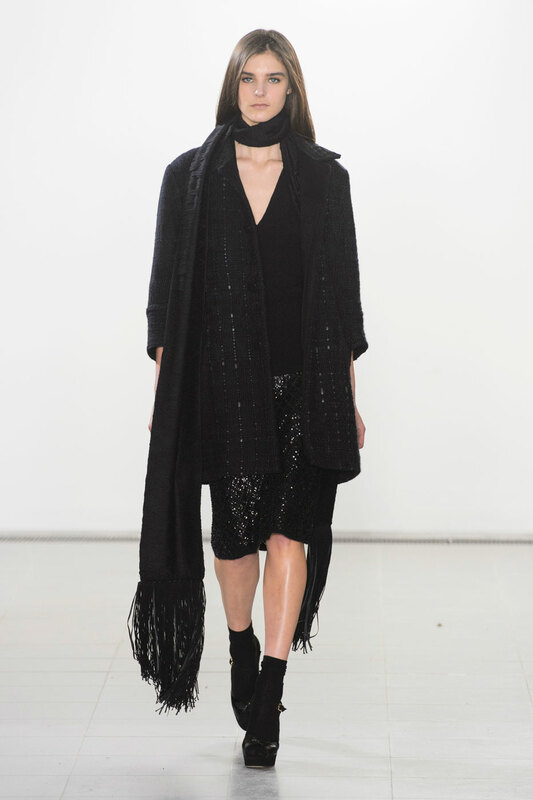 The collections looks also saw structured sophistication both contrasted and paired with chunkier items whilst draping cardigans, dresses and scarves were given elements of sparkle that brought them to life. 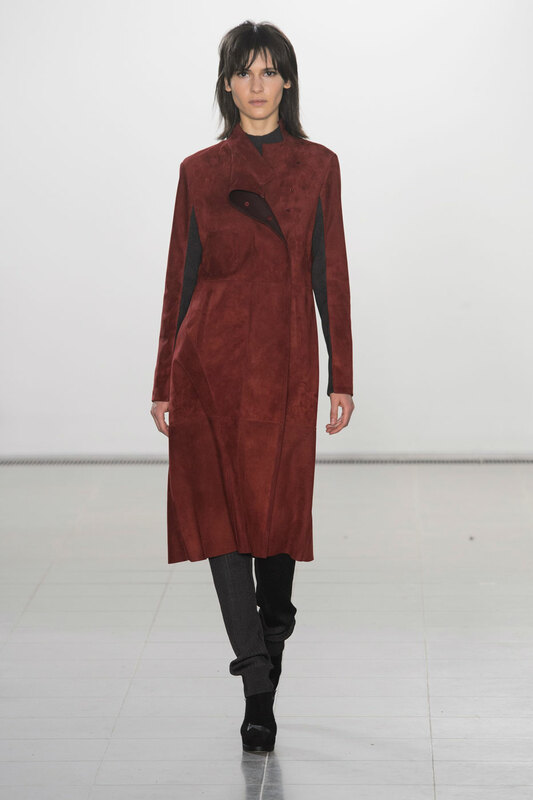 Whilst many of the designs maintained overall minimalism, standouts such as embroidered skirts and textured jackets witnessed the brand challenging their own longstanding creativity.